As humans, we're drawn towards visual content. Sure, we all have our favourite audio podcasts we listen to on the morning commute, but there's something different about hitting record on a camera and knowing your audience can see the face behind the voice. It can prove to be a daunting task when preparing to create visual content, especially for the first time, but we've got every area covered in a 40-minute webinar as part of our new weekly series. 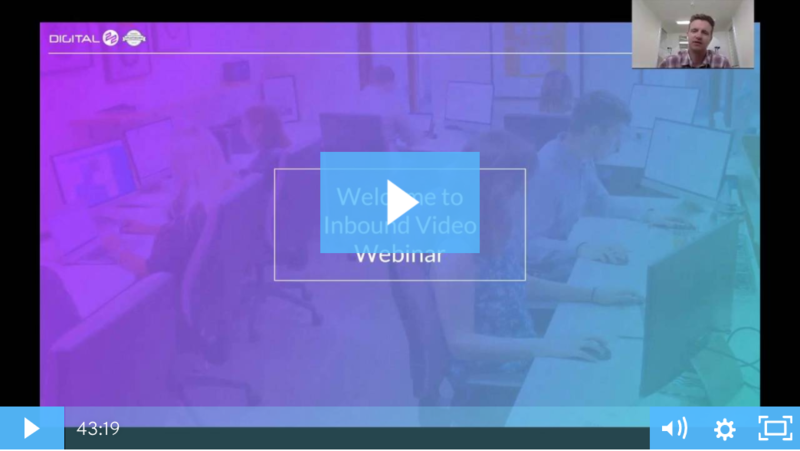 In this webinar, you'll see why inbound video marketing can become a useful tool - ranging from the different types of visual content you can create, how you can get started and create your own content (regardless of your budget! ), how we overcame our issues along with useful tips and tricks to help you along the way!